Hey there everyone! 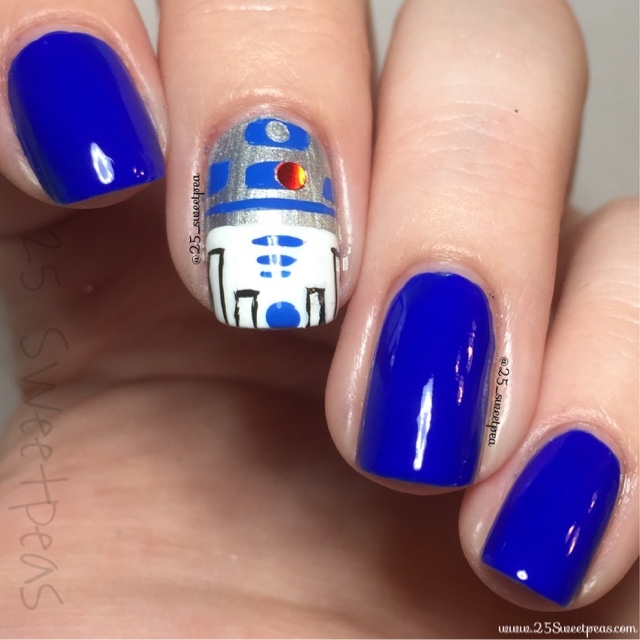 Hope you are all enjoying my Nail Care Favorites post! That post was super fun to put together for you guys! I'm working on another similar fun post for next week so be on the look out for that! 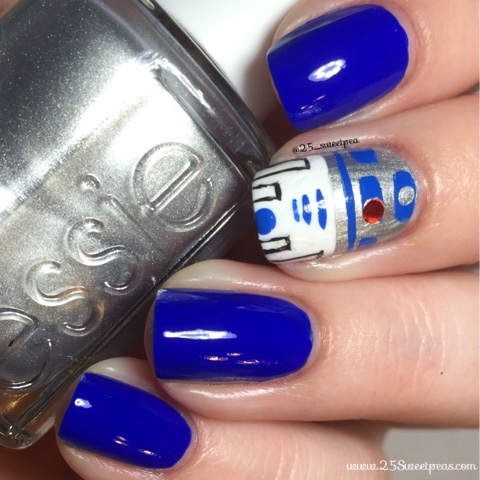 Today for you I have R2D2 nail art! I've never done any Star Wars related nail art and I had no really great ideas last night so my brothers suggested Star Wars and so I went for it! 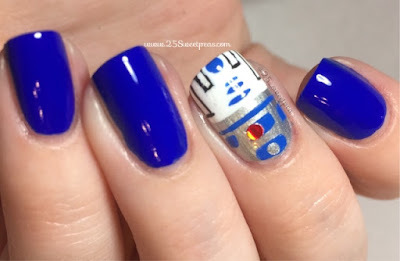 R2D2 was actually super fun to paint, and suprisingly easy compared to what I had throught! For the blue nails I used an unnamed blue by Love, Charlotte AKA Color Club being sold at Charlotte Russe! I love this blue so much! It's a one coater and so bright plus super shiny too! It's just a great blue! The base for R2D2 is Essie Loophole. Then all of the detailing on him was done with acrylic paint, using my Berry Wine brushes from Winstonia and various nail Dotters. Guess what?! I also made a tutorial, so let's check that out now!